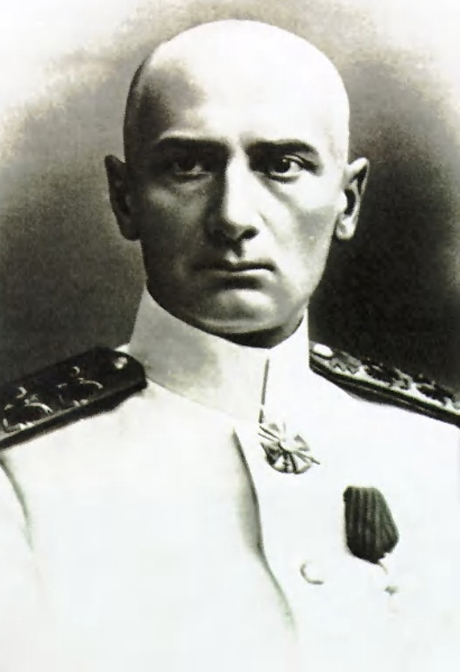 On this date in 1920, White commander Admiral Aleksandr Kolchak was shot in Irkutsk. After the Russian Revolution touched off civil war, Kolchak became Supreme Ruler — and ruthless dictator — of an anti-Bolshevik government stretching from the Urals to the Pacific Ocean. Fleeing east, Kolchak was arrested by a Bolshevik-allied government in Irkutsk on Lake Baikal. The White army mounted an offensive to retrieve him — leading the Soviet government to order his immediate execution, along with one of his government ministers, Viktor Pepelyayev. Unable to bury them in the frozen soil, their captors unceremoniously dumped the corpses in the Ushakovka River. 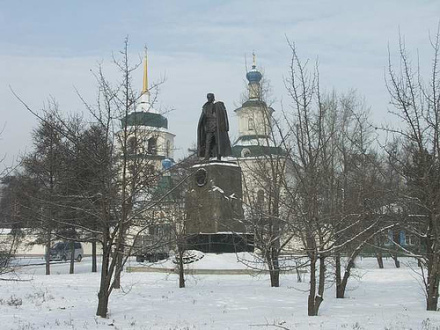 A monument to Admiral Kolchak in Irkutsk, Russia. Image courtesy of Jack Sheremetoff of Baikaler.com. * An inhospitable Arctic island he helped explore was named (and is now again named, following a Soviet change of moniker) for Kolchak.